Opinion: Stacy Leidwinger at RES Software looks at how to maximise the benefits of automation whilst avoiding the risks. As routinely as you pick up your morning coffee, machines are now executing tasks in the workplace. Using complex algorithms, technology is alleviating workers from time consuming and often menial jobs. With the Internet of Things now a reality, machines are communicating independently and replacing human behaviour. There is no sign of automation slowing firms across a range of industries are employing technology to improve their services. Automation is a natural evolution of business. However, as much as a blessing technology can be, if handled incorrectly it could become a burden. 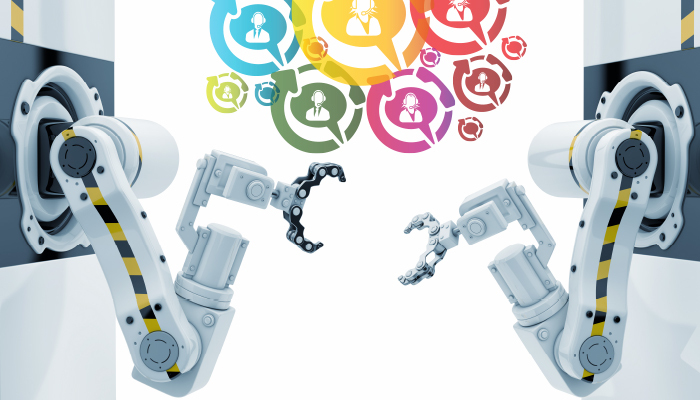 With this in mind, there are four ways in which a company can ensure that it is maximising the benefits of automation whilst avoiding the risks. Firstly, you must ensure that you are not attempting to place a square peg in to a round hole. First consider what areas of your business would benefit the most. A useful rule to remember is that if you are employing a member of staff who has to execute a task day in, day out – then consider using technology. Take Amazon for example, which employs a workforce of drones in its numerous and colossal warehouses, which are able to work 24/7 and keep processes moving night and day. If they did not employ machinery, then it would take two or three times the amount of people working on rotation to carry out the jobs within the warehouses. Secondly, ensure that your technology is monitored and updated in line with business processes and flexible enough to change as rapidly as the business. This is essential as machines are not humans and will not adapt to a change in context in the same way as a human. Therefore, machines will not identify change and act accordingly. This could result in incorrect information being relayed through the company, which could have devastating effects. Take for example an internet enabled and automated medical device, used to monitor the heart rate of someone unwell. There is no room for error, and if incorrect information is relayed, then it could be fatal. Thirdly, you must ensure that just as staff are given training on policies, machines are programmed with the same understanding. As they don’t yet understand subtle changes in context it is important to ensure that they are supervised and monitored to ensure that those policies are adhered to. Technology has in many ways grown at a faster rate than the workplace has adapted. This is most apparent in the fact that many companies still struggle to gift or restrict the right access to employees. Some may have access to information they shouldn’t whilst others are locked out of areas they should. Businesses are only now investing in more policy-based access roles that revoke access based on a worker’s changing context and role and this must be applied to machinery too. Lastly, security is paramount. If technology is left unchecked, a hacker could infiltrate a company’s entire network through a vulnerable spot, and if senior management are oblivious to the threat, they could go undetected. If infiltrated, confidential information, key strokes and data could all be redirected through the automation process and in to the hands of criminals. Businesses previously only had to consider their users as endpoints that must be protected. Now you must make sure that both machinery and all digital communications are thoroughly secured. Overall, automation should be embraced by businesses and adopted to boost growth and efficiency. However, technology must be carefully implemented, monitored and secured. Only when this is understood can the true potential of automation be realised.